The Vampire Facial is a painless, minimal-downtime aesthetic treatment that uses medical microneedling to create tiny channels (micro-injuries) in the skin that allow for the penetration and absorption of Platelet Rich Plasma (PRP) through topical application. This powerful procedure produces marked improvement in skin texture, pores, acne, scars and overall tone and complexion. The Vampire Facial has become a patient favorite because it’s cost-effective and effectively treats multiple skin conditions for patients of all ethnicities, including tanned skin. PRP is a concentrated source of platelets, growth factors and cytokines found naturally in your own body, and stimulates and controls healthy regenerative processes, including collagen and soft tissue remodeling, and improves overall health and rejuvenation. PRP has been used successfully for years in surgical and non-surgical procedures to promote improved healing times and optimal results from various procedures. During the Vampire Facial, the PRP (painlessly obtained through a small blood draw) is topically applied and drives the amazing results of this procedure. What makes the Vampire Facial different at Seiler Skin? 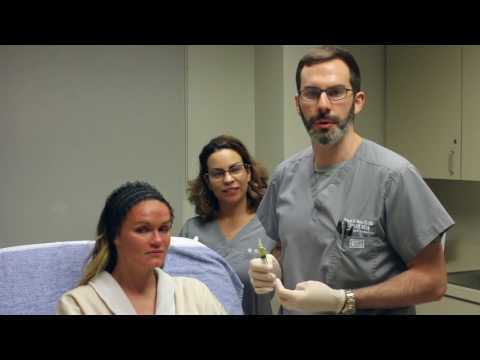 We use a superior system for medical microneedling that maximizes the depth and strength of treatment, and empowers our practitioners to safely treat individual skin types and concerns. Dr. Seiler has fully evaluated all available medical microneedling devices on the market, and identified both the Rejuvapen™ and Eclipse MicroPen™ as the highest quality options that produce the best outcomes – both of which we use at Seiler Skin. We also use an FDA-approved sterile system to obtain the PRP. Just like many other cosmetic procedures, the Vampire Facial is not a highly regulated treatment and thus patients must be educated when choosing a provider. Some practices may use low-quality, ineffective microneedling devices or employ practitioners who are not properly trained. There is not a concrete protocol for medical microneedling; therefore, the patient experience and results are fully dependent on the knowledge, skill and experience of the provider. This is a complex procedure that must be performed at a Vampire®-certified center by a trained provider who understands its use and how to tailor the treatment to each patient’s concerns (mild to severe) and skin type (Caucasian, African American, Asian, Middle Eastern, etc.). Lastly, Dr. Seiler was extensively trained in the use of PRP during his surgical residency, and was an early adopter and believer in the science. He has been personally trained by the creator of the Vampire procedures, Dr. Charles Runels, and currently trains other practitioners around the world to become certified providers. What does the Vampire Facial treat? Who is a good candidate for Vampire Facial? Men and women in this category may have one or several of the above conditions, or simply seek to maintain their healthy, beautiful skin. This procedure has many preventative benefits, and can be done in a series or as a standalone treatment to address individual concerns. The Vampire Facial is also a highly effective treatment for teenage acne and acne scarring. Men and women in this category who have begun to experience visible signs of aging or are concerned with one or more of the above issues can benefit greatly from this procedure without the downtime of more aggressive laser procedures. Men and women in this category who may believe they are too old to benefit from the procedure can see incredible results through a series of Vampire Facials, depending on the concern. For more severe concerns, other procedures may be recommended in conjunction with the Vampire Facial. What should I expect during the Vampire Facial? A medical-grade numbing cream is applied to the treatment area to ensure the procedure is painless. A small amount of blood is drawn painlessly and centrifuged to separate the PRP from the remaining red blood cells. The PRP is applied topically and introduced to the skin through the tiny channels created during the microneedling process, and reapplied to saturate the skin after the treatment. *For more severe cases (e.g., scars, stretch marks, etc. ), PRP may also be injected deeper into the skin to thoroughly treat the concern. What should I expect after the Vampire Facial? Our patients report no pain or discomfort during or after the procedure, and typically experience mild redness for 12-24 hours. Patients’ skin usually normalizes the following day. What are the results of the Vampire Facial? Immediately following the treatment, patients will experience an incredible glow and improved texture of their skin. Results will continue to improve over the next several weeks, with reduction of pore size, decrease in acne, smoothening of skin and the beginnings of collagen stimulation. For stronger concerns, such as lines, scars or stretch marks, results peak at 6-12 months and can be maintained thereafter. Depending on your concern, one or more treatments may be recommend to achieve desired results. What is the difference between The Vampire Facial and The Vampire Facelift? The Vampire Facial uses medical microneedling with topically applied PRP to treat concerns more visible on the surface of the skin. 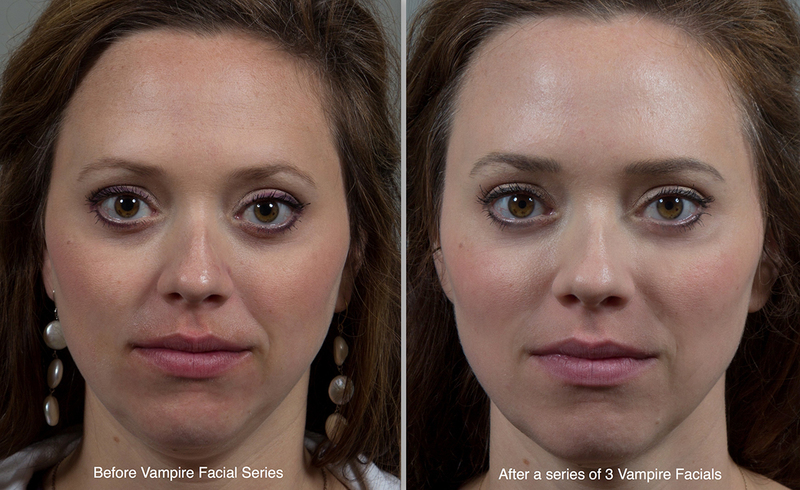 The Vampire Facelift uses fillers and injected PRP throughout the face to lift and volumize the face. Absolutely! The Vampire Facial is a safe and effective procedure when performed at Seiler Skin under Dr. Seiler’s supervision. It can only be offered at a practice that has been educated, trained and certified by Dr. Runels, the creator of the Vampire procedures. PRP specifically has been described in over 20,000 published studies as a safe and effective treatment with no reported inherent complications. If you are interested in the Vampire Facial at Seiler Skin, please give us a call today to schedule your consultation!